Accuray Incorporated has signed a multisystem, multihospital agreement with Mercy for the acquisition of Accuray Radixact and CyberKnife M6 Systems, building on a 13-year relationship designed to expand access to advanced, life-saving technology for more cancer patients. The next-generation systems will replace existing Accuray devices as well as competitive conventional linear accelerators. The order was entered into backlog during the company's fourth fiscal quarter, which ends June 30, 2018. Mercy cares for millions of patients annually across four states and was recently named one of the top five large U.S. health systems by IBM Watson Health for the third consecutive year. 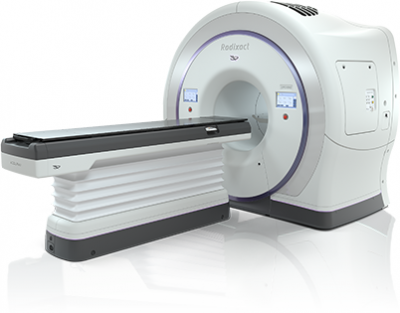 It is the first health system in Missouri to acquire the Radixact and CyberKnife M6 Systems. The innovative agreement between Mercy and Accuray for these systems was reached through negotiations with ROi, which partners with technology leaders to drive better patient outcomes for its members and their patients. Mercy enters multisystem, multihospital agreement for Accuray systems. Appl Rad Oncol.